California Singer /songwriter, performer J’Rose, is a young musical talent who exhibits a soulful, raspy tone and unique ability to connect with her audience. Singer /songwriter, performer J’Rose, is a young musical talent who exhibits a soulful, raspy tone and unique ability to connect with her audience. She possesses an authentic spirit, humble nature, and an infectious personality which makes her unstoppable. At four years of age, J’Rose would perform for anyone who visited her family’s home, singing Shirley Temple tunes and bowing after every performance with a deep dimpled smile. 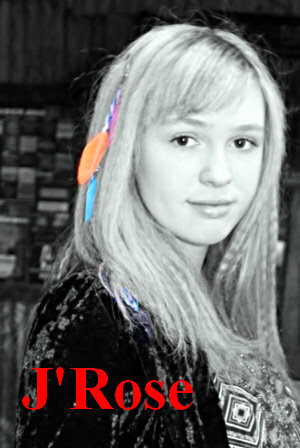 By the following year, she was performing in school talent shows and by age 8 she actually wrote her first original called “Heart Song”. This song was dedicated to foster children who were longing to be adopted and have a family of their own. Her first performance was for a children’s charity event and after singing “Heart Song” to an audience who held up their lit up cell phones; she knew the stage was where she belonged. 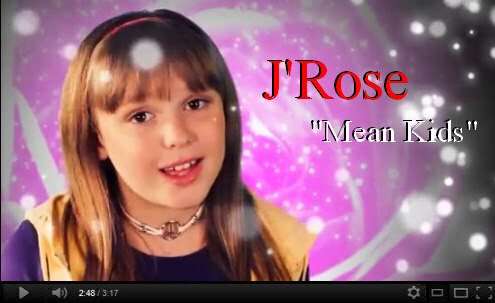 At about 9 years of age, J’Rose noticed kids at school being bullied, especially one little boy and decided to write a song called “Mean Kids” to help empower kids. She worked with a music producer and the song was made into a music video that has played in schools around LA, New York and even as far away as Japan. Only a year later, J’Rose was already busy in a studio recording new songs. She was asked to sing one of her originals entitled, “From My Heart” at a fund raiser for the victims of Japan after the massive earthquake and Tsunami in March 2011. J’Rose also auditioned and became a cast member of a show at CBS Studios that was put on by actress, Dyan Cannon. The show ran 10 months through 2012 and gave way to opportunities to sing, dance and act. In a competition during the show at CBS, J’Rose won first place for performance/song and first place for acting. From there she joined in on school tours with Chasing Your Dream Tour and Peace Thru Music Tour.